The history of the E C Ryder strip The strip, initially called E C Ryder but later just the J Edward Oliver strip, began in Disc (and Music Echo) in late 1970 and ran for seven years until it was cut from the pop newspaper in 1977. The story became increasingly inconsequential, with puns, comments on and caricatures of the "stars" of the day and parodies of current and favourite tv programmes and films. There were homages to other cartoon strips and games to play. As the strip was established, the column went to a full half page then to a full whole page. The section of Instant Garbage was always popular. There was a fan club for one of the characters (at one time consisting of over 4000 members, needing a staff of seven to send out the freebies) competitions with real prizes and other enticements. 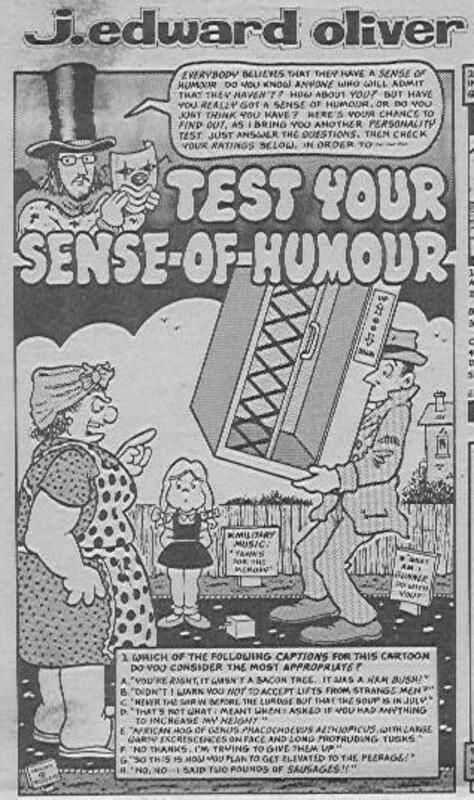 Readers were regular contributors to the strip. When the paper changed from Disc (and Music Echo) to Record Mirror, Jack’s column was cut from a whole page to half a page, something he was always complaining about. JEO was also frequently found complaining about the lack of a pay rise and censorship, and finding ways of cutting down on the work. On at least one occasion, the strip was drawn by other people, including once, famously, partly by the Editor. 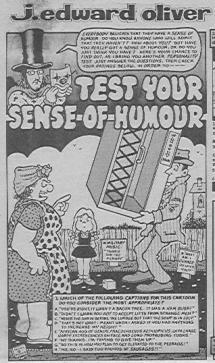 Despite some special episodes and increasing popularity, the column was axed at the end of November 1997 due to "Editorial Policy" (perhaps it was the arrival of punk) having become the longest running pop cartoon strip in all of history. The final episode was called "Parodies Lost". It had run for 386 episodes over 7 years. The spin offs finished immediately and J Edward Oliver was gone from the paper forever.